The 2018 Lenten theme is "A Family of Compassion." Throughout this season, we are using the Holy Family as our model of Compassion. We will be focusing on Jesus, Mary, and Joseph: by offering Stations of the Cross on Wednesdays at 1:15 and Fridays at 6:30; by encouraging a consecration to the Blessed Mother (using 33 Days to Morning Glory) on Fridays at 5:30; and by hosting a Lenten retreat based on Saint Joseph. If you would like to prepare for the Feast Day of Saint Joseph (March 19), we invite you to begin a novena on Sunday, March 11. You can find the novena by clicking here or at the entrances to the church. (1 – 4:00 pm) retreat on Sunday, March 18. The retreat will concentrate on presenting an overview of and significant devotions to Saint Joseph. We will begin in the church, and no registration is required. 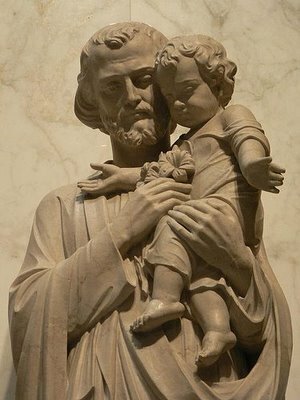 On Monday, March 19, we will celebrate the Feast Day of Saint Joseph with 7:00 pm Mass, followed by a presentation of “Joseph as Compassionate Husband” by Deacon Richard Samide. We have added a 7:00 pm Mass on Tuesday, March 20, and continue with “Joseph as Compassionate Worker” with Father Greg Olszewski.